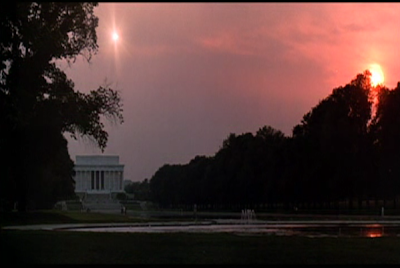 The film 2010 ends with a perfect alignment of the Lincoln Temple and the Jovian second sun. What was once only remembered in temples, monuments and the minds and hearts of men, is now fully realized and manifested for all to bear witness to. Jupiter shines and the joy becomes tangible for all. Jake mentioned that I had been led to think about Mount Rushmore. I sure have. Hopefully soon I can do a post. But if anyone has insight on it bring it forth. I do know it is used more than any other place as a location for secret bases, and as Jake has mentioned Janus Jupiter Abe's head is there as well. One example being Mr. 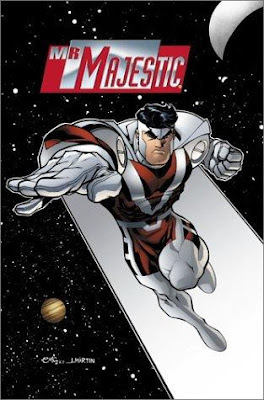 Majestic who uses Mount Rushmore as his secret base in the alternate universe that he lives in. Notice in the image below his alignment with both the moon/27 and jupiter42/. Richard: I've got one for ya. 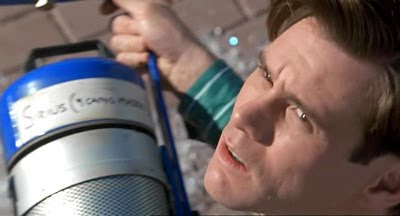 In The Truman Show there's a scene where Jim Carrey is looking through an old photo album with his MoM and wife. They hone in on this image of young Truman in front of Mount Rushmore and the head of Abe. Is that a Blue Star on his cowboy hat? 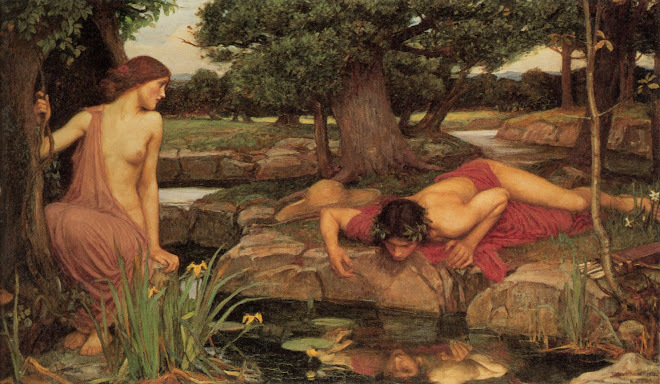 It's interesting that Truman/JC begins to awaken from his slumber thanks to the help of a Blue Star called Sirius. The Dog-star is another candidate for our binary partner, or Second Sun, but I've now come to believe that it's simply another arrow which points to the jovial floW of goD. 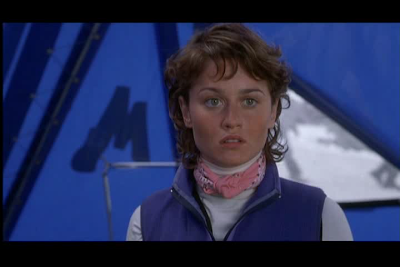 Been re-watching Vertical Limit because the Bond Lady Izabella Scorupco from GoldenEye (see recent post about Janus for more GoldenEye syncs) happens to head up the mountain K2 along with our 2 Robins, Robin Tunney and Chris O'Donnell (Robin in previous Batman franchise). 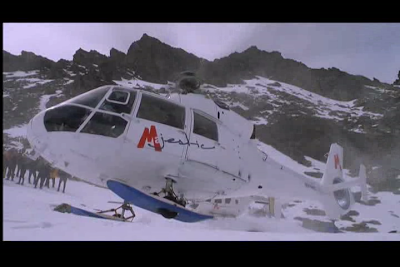 Bill Paxton plays a millionaire who is climbing K2 to promote Majestic Airlines. Tunney is part of the crew who must help Paxton ascend. Here she is in shot with the Majestic M.
Perfect that Jim brings UP his own Majestic syncs right as I am seeing these shots. Sync and entrainment in action. Tunney's profile merges with killer Jupiter Calidos in The Mentalist S2 E10 Throwing Fire. The Craft DVD extras with Jupiter poster sync winking behind. I like how this poster for The Majestic StarRing Jim Carrey has the word MAJE highlighted by hitting Jim's body. Thank you, allways joy to be found in every post. Interesting to see 2010 ending with two suns / sons and the temple of zeus / abe / ape - movie 2001 beginning with ape killing ape in ancient times... in between A.I. HAL 9000 = 9K = 911 killing humans in 2001...? 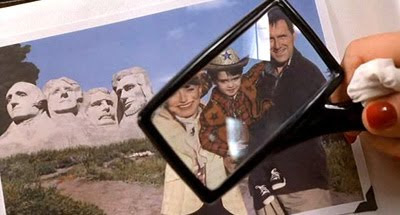 Jim, I like how you've got a Rushmore thing going on. It reminds me of that picture that James made for you - the one of the Tortoise and the Hare with you and Juan superimposed over the top. Don't all Hares want to Rush-more instead of taking it easy? Maybe patience is the key. Slowly but surely. I'll certainly keep my eyes peeled for you. Peace. Haha Jake. 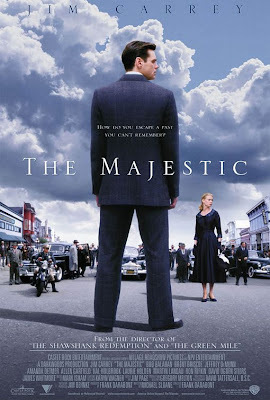 After adding the Truman stuff to this post it suddenly dawned on me that Jim Carrey starred in a movie called The Majestic. I googled the poster, added it to the bottom of the post, saved it, but when I went to view the changes I discovered that you'd overwritten it with your own update. I scrolled down to the bottom of the post only to find the exact same Majestic poster that had just been deleted! Perfect. As Will would say: There are no mistakes. Yes and what is MORE but ROME! When in ROME just came out. Rushmore is named after Charles Rushmore who owned Harvey Peak TIN mining company. Harvey Peak is what Black Elk was seeing when he got his vision. 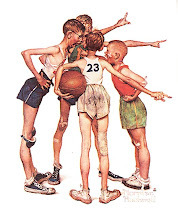 Somewhere in in the sync matrix of Rushmore we shall see deeper into what role the Dakota have in the play of Janus. 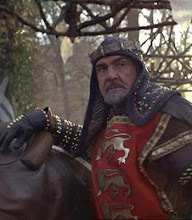 And yes RA I am a rabbit wanting to rushmore. but i am learning to fly slow more and more. I added that stuff to the bottom of Jim's post and it was deleted by yours first. I was just as surprised to see you were talking about Carrey in another context..
Oh Boy, still signed in as Jimbo..
Ooo, check out this Jim Carrey magic http://jimcarreycandomagic.ytmnd.com/ ...what a sync! Hi Jenny, That is a strange yet perfect link to JCarrey. A Rabbit out of the Heart Cage. 1st I think of the Wes Anderson film of that name. Rushmore was the name of the academy that Max, I believe, loved so much. 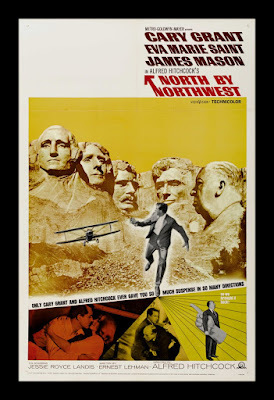 2nd I see Jimmy Stewart dashing across the heads in *North by Northwest*--of course that's wrong it's Carey Grant (centre galatique). But then you above were saying Harvey Peak (which is wrong, It's Harney Peak) But Harvey is the Jimmy Stewart film were he see's Will's Pooka--The dog in ET is named Harvey in a honorary wync I think. Stewart is a Jupiter type to me, and it's a wonderful life is one of my "key" films.